Grove Refuge & War Cemetery is located just west of Karup Airport. 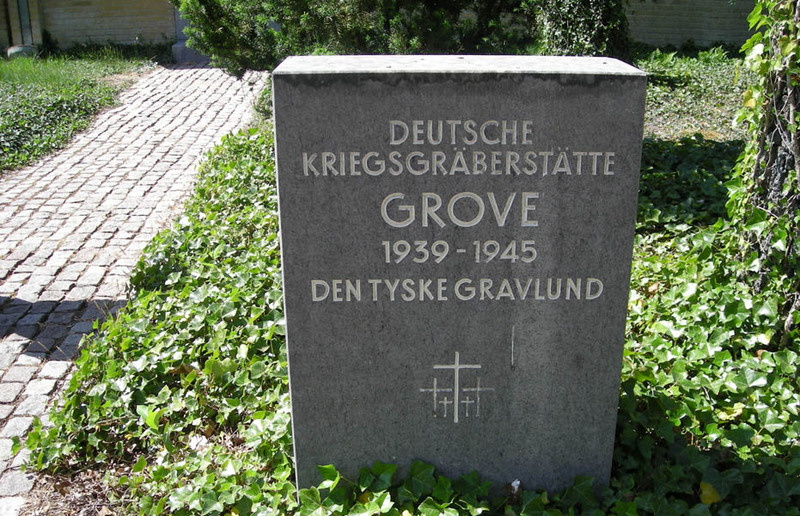 During World War II Luftwaffe created Grove/Gedhus airfields as one of the largest German World War II airfields in Denmark. This airfield is today known as Karup Airport and Karup Air Station. 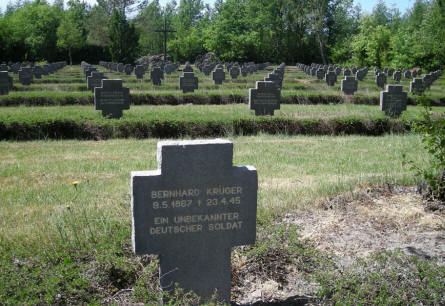 After the war the airfield were used as a refuge camp for German refuges. 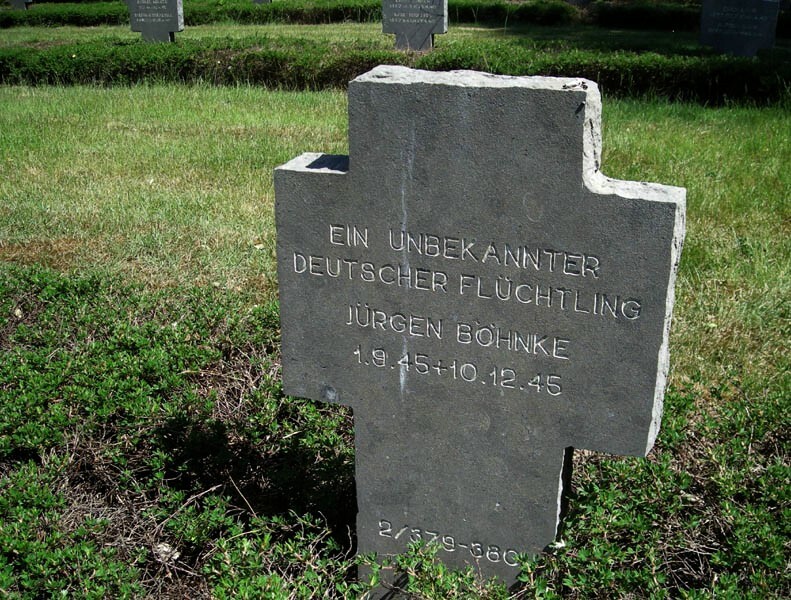 The Grove cemetery has both refugee and military graves. 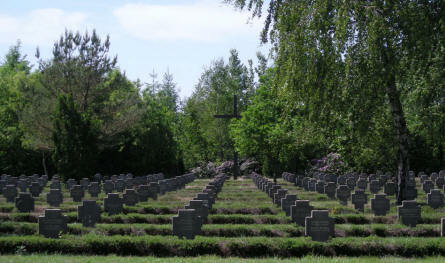 A similar cemetery - called Gedhus War Cemetery - is located just east of the airfield. The entrance to the German War Cemetery at Grove (Karup). 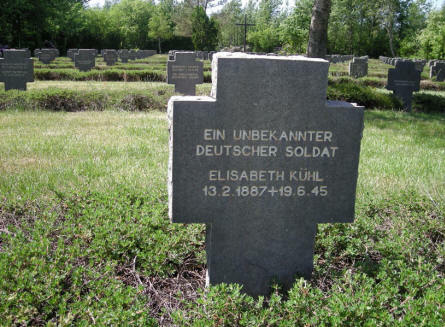 The grave of an unknown German soldier and a known German refuge at Grove War Cemetery. Some of the many German graves at Grove War Cemetery. 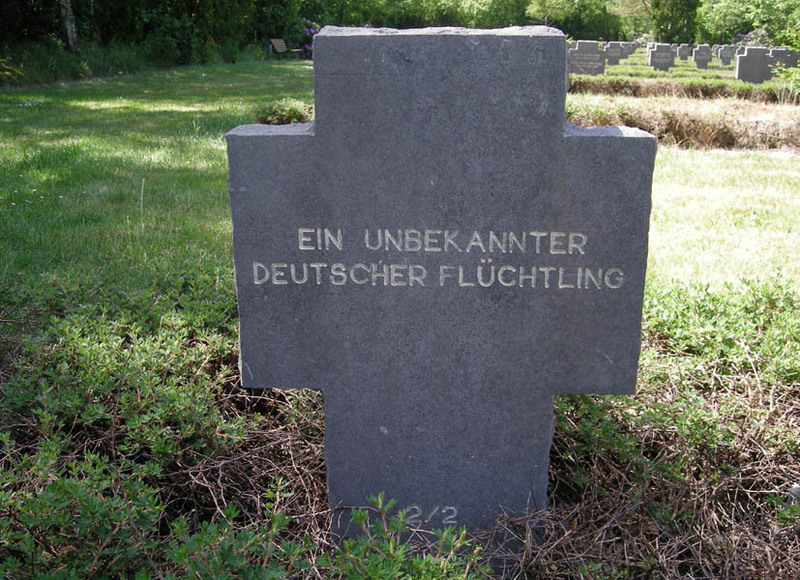 The grave of an unknown German refuge at Grove War Cemetery. 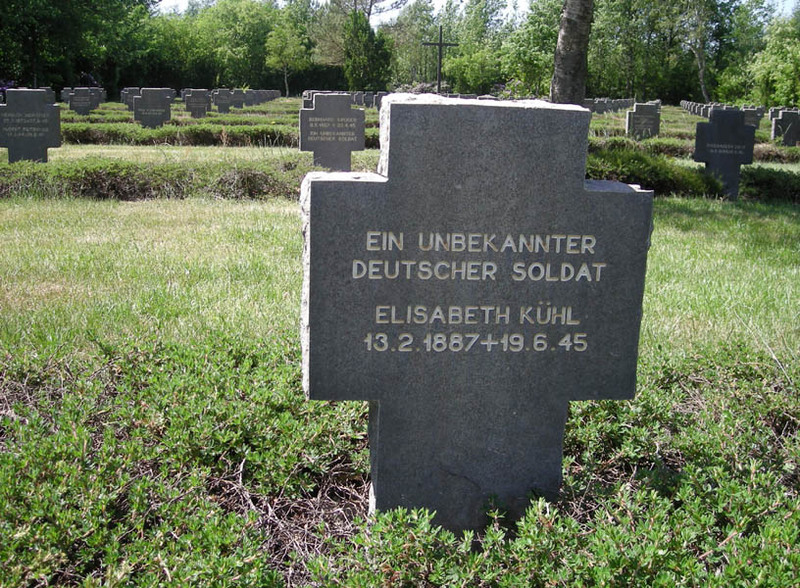 The grave of an unknown and a known German refuge at Grove War Cemetery.